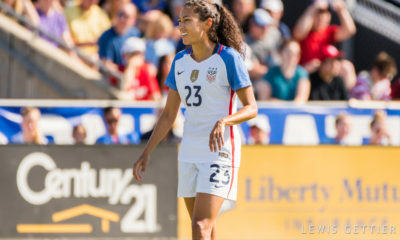 Seattle Reign FC continued their in-season retooling by acquiring Renae Cuellar from FC Kansas City in exchange for former Hermann Trophy winner Teresa Noyola. The Equalizer confirmed the deal on Monday afternoon. 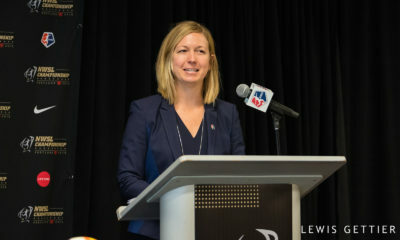 The biggest trade in NWSL to date also includes the Reign shipping Nikki Krzysik’s rights to Kansas City. The teams also exchanged draft picks with Kansas City getting a 2014 2nd rounder and Seattle a 3rd rounder also in 2014. Cuellar and Noyola were both allocated by the Federation of Mexican Football (FMF). In a separate trade the Reign sent Lindsay Taylor and a conditional 4th round pick to Washington in exchange for the Spirit’s 2nd round pick. Cuellar will give the Reign a dangerous target player to connect with Megan Rapinoe. 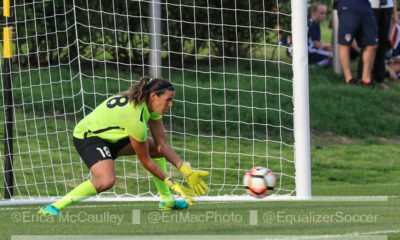 The Mexican-American scored five goals for FC Kansas City but recently lost her starting spot to Melissa Henderson. The first of those goals came three minutes into the opening NWSL match against the Portland Thorns. Cuellar, 23, appeared in 11 matches, starting eight. She missed two games after spraining her knee and ankle after being tackled by Rachel Buehler. Noyola, 23, also started in eight of 11 appearances. The 2011 MAC Hermann winner had one goal and one assist as part of what has sometimes been a muddled attack for the Reign. 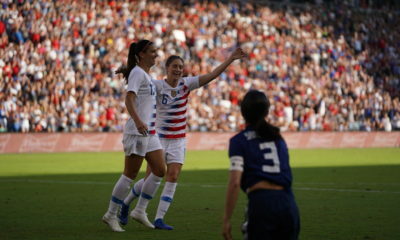 She could find herself in the right midfield slot for Kansas City, which has recently been occupied by Courtney Jones and Merritt Mathias. Jones has started the last five games but has not made it to the second half in the last two. Last Wednesday she was pulled after 41 minutes and Sunday she came off late in the first half due to dehydration and was replaced by Mathias after the break. Krzysik was taken by the Reign with the 2nd overall pick in the Supplemental Draft but elected not to take a contract and instead play for the San Diego Sea Lions. The Equalizer has learned that Krzysik has not changed her mind about playing in NWSL this season. The former Red Stars and Philadelphia Independence defender is scheduled to be capped by the Polish national team this fall and enter NWSL in 2014. The Blues will retain her rights for the 2014 season. Krzysik is getting married to San Diego Chargers tight end John Phillips before NFL training camp starts later this month. 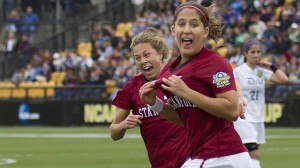 Taylor, also 23, made six appearances for the Reign and scored one goal, against her new team the Spirit. To make room for her, Washington waived Domenica Hodak, who had appeared in all 11 matches.